As we've said before, Indy eats; sleeps; and breaths racing—and just because the Indy 500 is long gone it doesn't mean the Indianapolis Motor Speedway is taking a break from tradition. 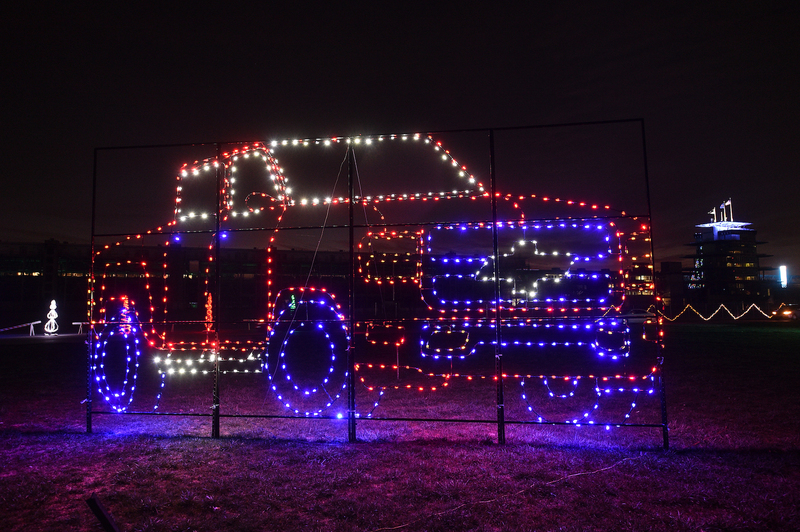 The third annual Lights at the Brickyard invites race fans and all families alike to drive their own vehicles on the world-famous yard of bricks while enjoying a dazzling array of Christmas, patriotic, and racing-inspired holiday lights. 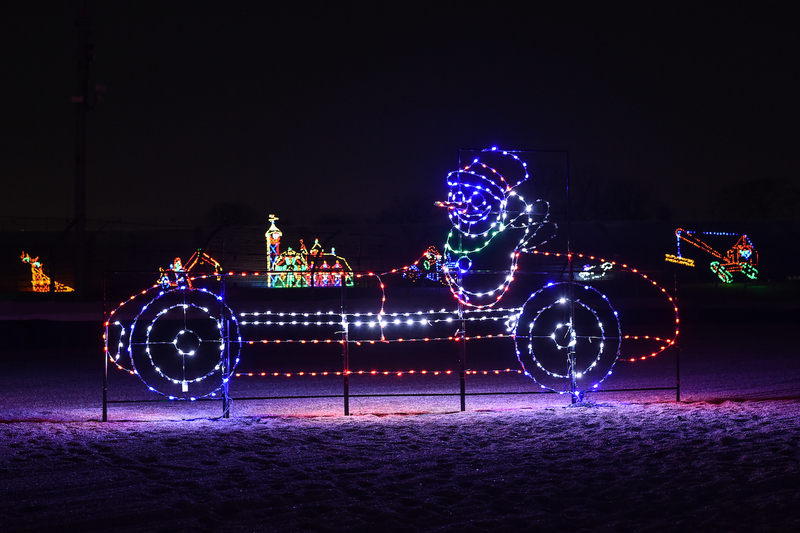 The Drive recently had the chance to see the awesome light formations in person, most of which range from the traditional poinsettias and Santa Clauses to the full evolution of the Indy car. Two words: must see. For starters, imagine the largest sporting venue in the world filled with lights—it's astonishing. Second: imagine driving through the same tarmac where the likes of Mario Andretti and A.J. Foyt have made history. 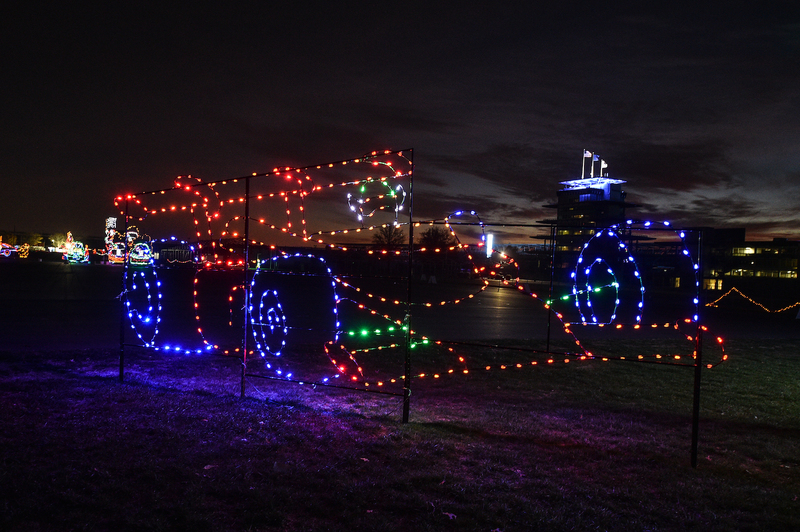 And while not the entire perimeter of the track is decorated (because that would be crazy), a lap of Lights at the Brickyard lasts over 10 minutes and surpasses anything your one-upper, neighborhood holiday lights aficionado has ever done or will ever be able to do. The only downside? No racin' and no bumpin'. 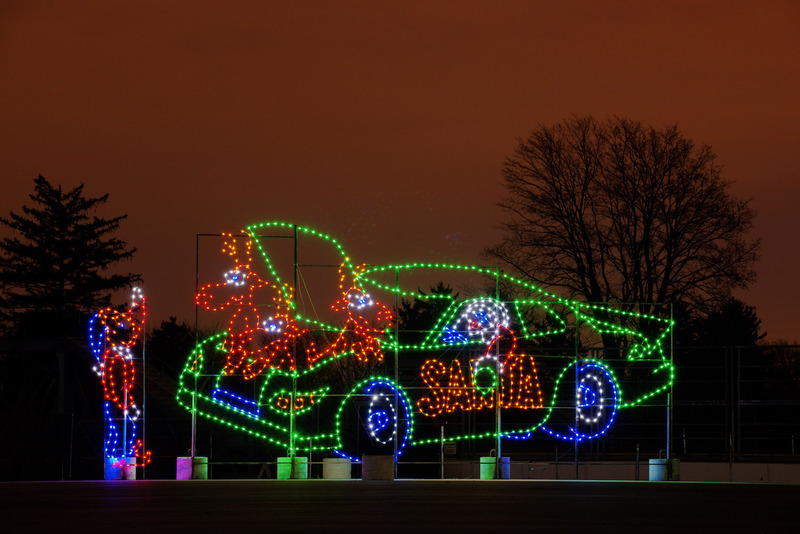 More than 500,000 lights were added to this year's production, totaling over 3 million holiday lights plastered across the track's road course, the oval's Turn 4 to Turn 1, Gasoline Alley, and of course, the yard of bricks. Compared to previous years, this year's event offers a wider variety of displays to make sure every member of the family sees something they fall in love with. For us, it was the evolution of the Indy car located along the main straight, which depicted the nine most iconic race car shapes dating back to 1911, when the first Indy 500 took place. Directly in front of the LED racers was a touching memorial for Mari Hulman George, the track's head honcha who passed away earlier this year. 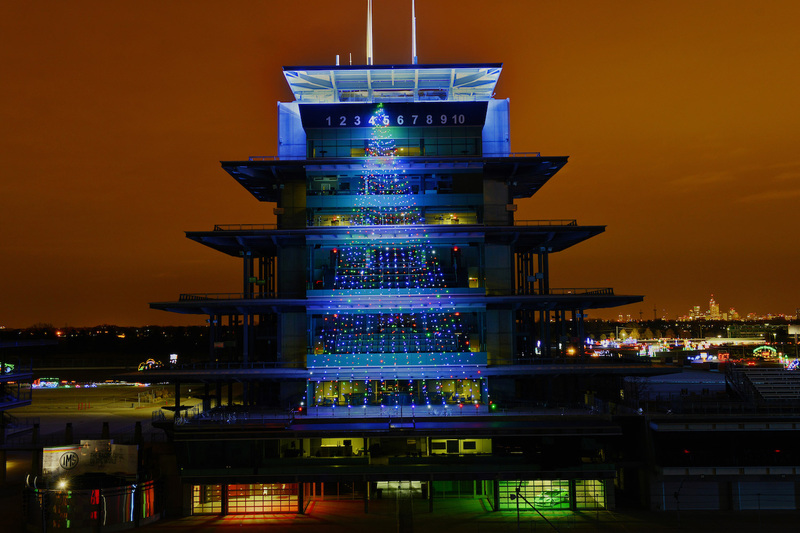 Of course, a 20-foot-tall Santa, an 18-foot-tall Iwo Jima Memorial, and a 45-foot tall Borg-Warner Trophy were pretty cool, too. 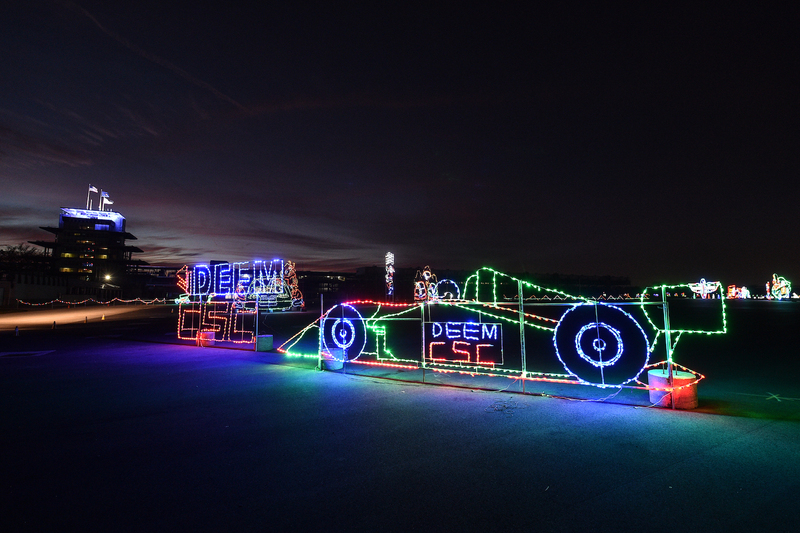 While most of the decorations are kept offline for obvious reasons—after all, the Speedway wants families to pay the price of admission to see them in person—the kind folks at IMS allowed The Drive to publish several photos so folks who don't live near the track could also experience some the magic. If you're left craving for more, you can do a virtual race-day lap of the 2-mile oval courtesy of Google Maps. 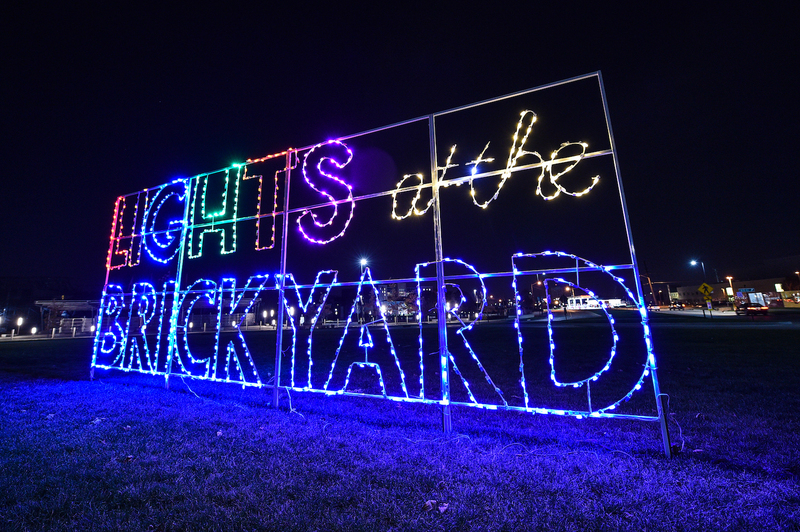 If you live in the in the vicinity (or wouldn't mind roadtripping to Indy), Lights at the Brickyard is already open to the public and will remain so until Dec. 30. Pricing and other details can be found on the track's website. What's It Like To Have Your Face on the Indy 500 Trophy? 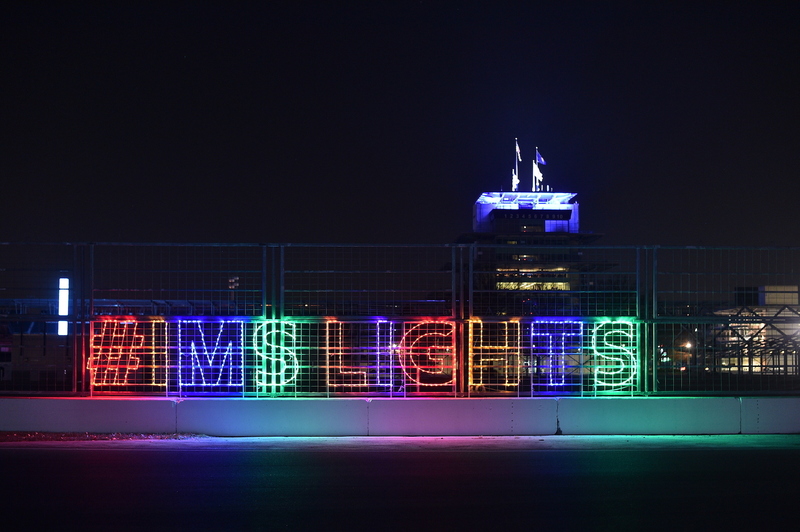 Experience the folklore of the fastest month of the year in a city that's all about racing. The First Lady of American open-wheel racing is and was loved for her contributions to motorsport, education, and most importantly, humanity.